"There's a majesty in the pure and simple. There's a nobleness in the traditional. 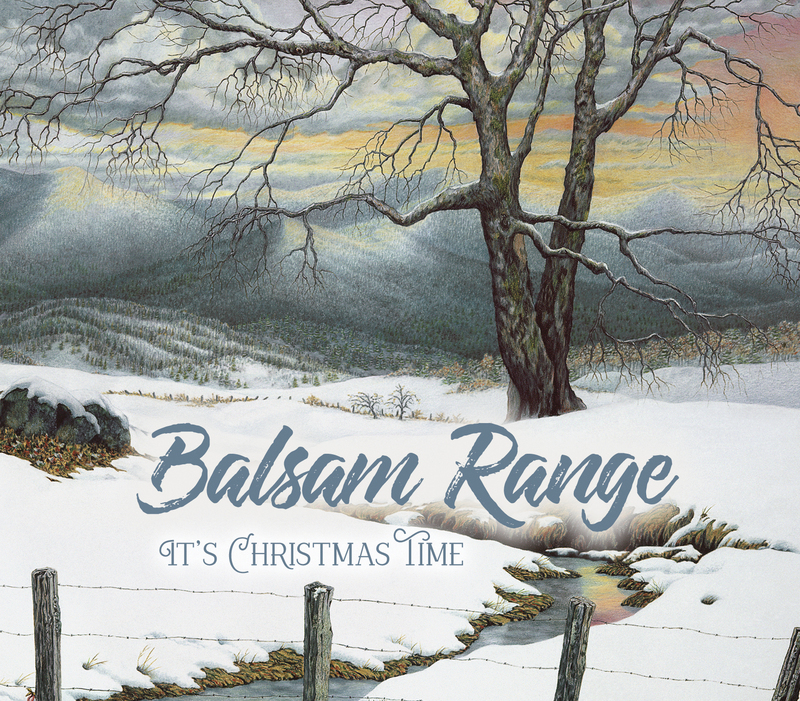 Nashville, TN (November 3, 2017) --World-renowned Bluegrass quintet BALSAM RANGE makes magic with their newest EP, IT'S CHRISTMAS TIME. The six-track outing spreads seasonal joy with a mix of contemporary and traditional tunes and features the beloved band in an unusual pairing with the Nashville Recording Orchestra. Radio can ensure that IT'S CHRISTMAS TIME makes their holiday playlist by downloading from AirPlay Direct. Fans can listen to a live stream now on Bluegrass Today, or purchase as the perfect Christmas gift HERE. For those who might consider the joining of Bluegrass and orchestral music an odd mix - you are not alone. Respected tastemaker David Allan of Britain's Country Music People magazine notes, "I thought I would hate it - the very idea of Bluegrass and strings, not to mention a sax, BUT it works ... creating a rich, sentimental and wonderful, magical Christmassy feeling ... definitely a winner." This is the band's first Christmas release. "We loved the idea, and we were intrigued by the musical possibilities that this project would open up to us," Balsam Range spokesman Tim Surrett reflects. "We had to take a bit of a different approach to make it work, but I think the result was worth the effort." "Here's a sweet Bluegrass, Christmas EP that takes some chances that work well among the tried and true. They know their stuff and how to play it right." "Balsam Range is superb on this holiday collection. All six tracks are refreshing and unique." "Will certainly spread joy for listeners through the holidays this year and for many to come." To celebrate the EP's release, Balsam Range will host the Atlanta Pops Orchestra to perform these holiday tunes during the closing show of the group's second annual Balsam Range Art of Music Festival at Lake Junaluska, North Carolina (December 1 and 2). Additional entertainers, including Flatt Lonesome and Darrell Scott will perform during the event, which also features various workshops. Select tickets are still available and much more information can be found on the Festival's website. These native Western North Carolinians have created a beautiful collection for holiday music lovers. Buddy Melton (fiddle, lead and tenor vocals), Darren Nicholson (mandolin, octave mandolin, lead vocals, baritone and low tenor vocals), Dr. Marc Pruett (banjo), Tim Surrett (bass, dobro, baritone and lead vocals) and Caleb Smith (guitar, lead & baritone vocals) produced and recorded the project at Crossroads Studios in Asheville, North Carolina for Mountain Home Music Company. Cody McVey wrote the arrangements for the Nashville Recording Orchestra and Bobby Shin recorded the orchestra at the Library Studios in Nashville. The cover art is a reproduction of a stunning, colored pencil drawing, entitled Cold Mountain, by Haywood County, North Carolina's Teresa Pennington. Balsam Range formed in 2007, has become one of the genre's most award-winning acts in recent years, garnering 11 International Bluegrass Music Association Awards on the heels of six critically-acclaimed albums. The group has left audiences spellbound while headlining major festivals from coast to coast, selling out venues across the nation, and in multiple appearances at the Grand Ole Opry. Their previous outing, MOUNTAIN VOODOO, debuted at #4 on the Billboard Bluegrass Albums Chart and remained on that chart for 52 weeks. Three singles from the album reached #1 on the Bluegrass Today Chart, including "Blue Collar Dreams," which spent three consecutive months at the top. The disc was recently honored as the IBMA's 2017 Album of the Year.